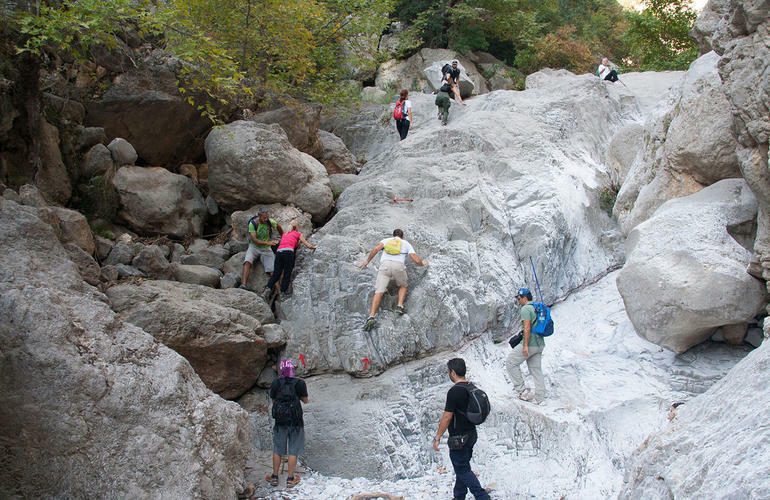 It's time to go hiking!!! 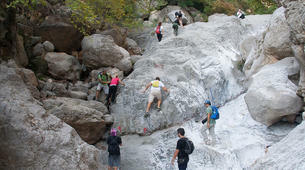 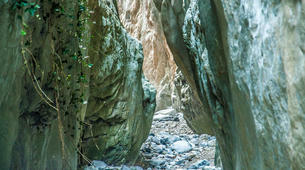 So close to Kalamata, but in the heart of Taygetos there is the most adventurous gorge in Messinia. 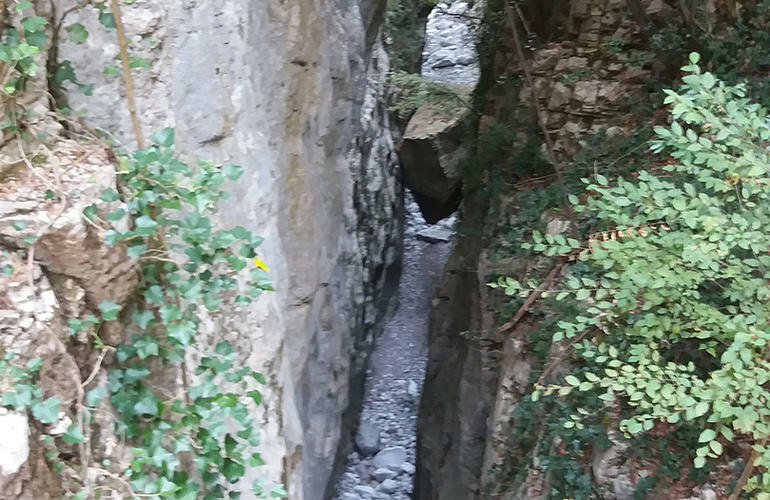 Departing from your hotel with the van, you will reach the Voreo village. 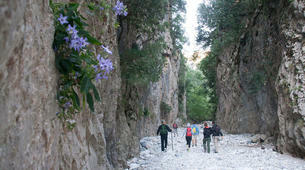 You will be hiking 10 of 27 km, part of the villages Gaitses to Pigadia. 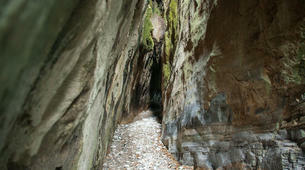 The path is wonderful and you will see very narrow passages from 1 meter to 100 meters and mysterious rocks for boulder. 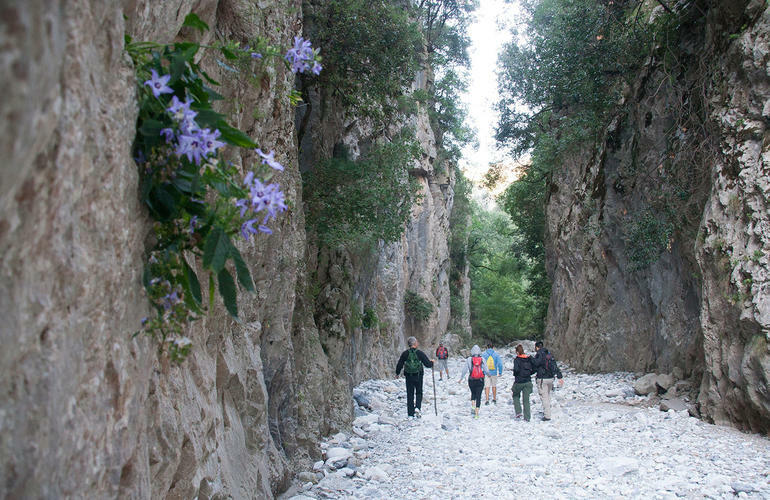 Enjoy after the hiking the best Greek coffee. 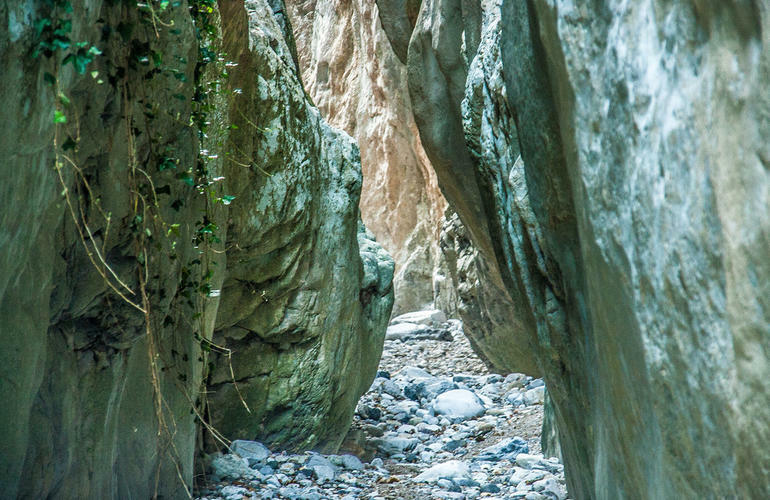 Ridomo gorge, starts from the heart of Taygetos and after 25 km leads to the beach of Santοva 10 minutes from the city of Kalamata. 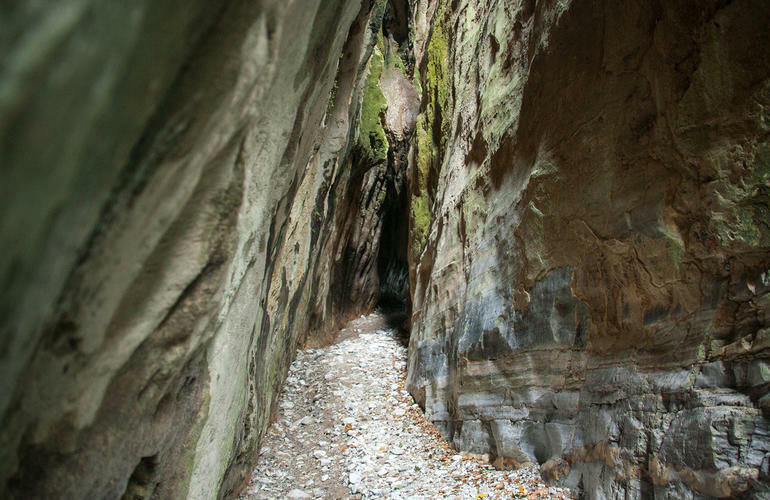 The gorge is a real geological phenomenon. 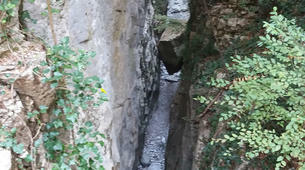 Throughout its length is very easy to observe the uniqueness of its morphology, as well as the unique aesthetic value and practicality of its cobbled roads.